Hy, I''m the CEO of domainscan.ro. First of all I must say that most if not all the domain names that you marked above as scam were suspended. You made the assumptions that all the above domains are for scams, but most of them were just empty new accounts, you made the assumption bases on the domain named, that's just not real and professional. I removed "loves" from the title of this post. Not all the domains are suspended as you suggested in your post. We all know such domains are used for spoof and phishing emails and need no content, so they merely appear "empty". Does this person, who is obvioulsy not the legitimate eBay have the right to run an account on your server which suggests to inexperienced internet users that the emails are for eBay transactions? You have obviously read the initial post and had the opportunity to kill all these fake sites, but have yet to do so.....Does this mean you condone these domains? Can you prove any of them are or were legitimate? Have you reported these domains to the police and eBay? Have you bothered to go over the domains on all your IPs and servers to check for similar sites and kill them? You as a Romanian web host, should have a pro-active stance against fraud domains and set the benchmark. Here are fraud domains located on a server in Romania and the breakdown of how they are being used. The domains have been reported to eBay. In order to get this data I used my Domain Tools account. This account costs about $3-400 a year. I cannot afford to continue to pay for this service and am asking for your help by donating to my PayPal account below. This is "bs" and the data is available using a domain history search on Domain Tools. Most likely used for fake invoices. Most likely used for spoof eBay emails. Most likely used for spoof emails pretending to be eBay. http://www.lkw-trans.com/ dead fake shipping site. Most likely being used for spoof eBay emails. 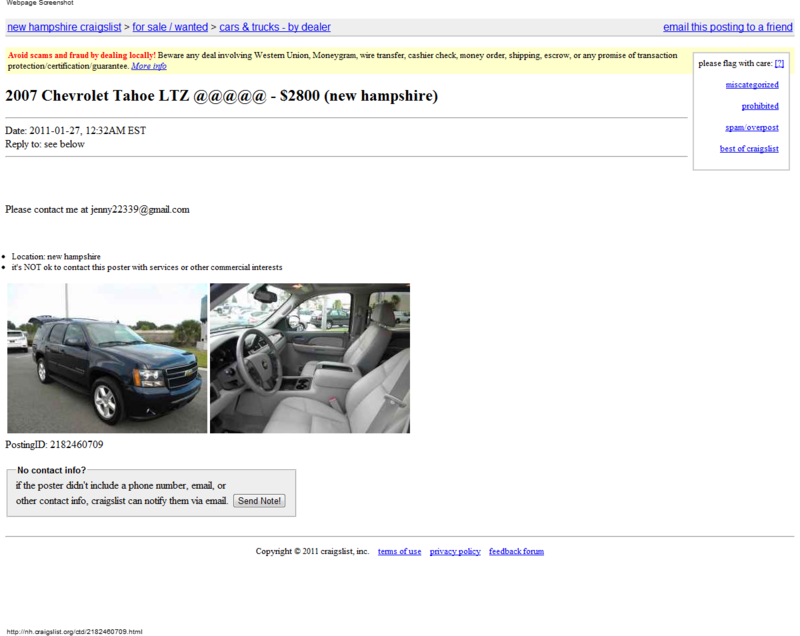 This site contains files and images of vehicles used in scams in the internet. Domain name: http://www.vehicle-transactions.com/ forwards to legitimate eBay site. Most likely being used foir spoof eBay emails. Most likely being used for spoof Craigslist emails. Marian Potcovaru was arrested in Medina, Ohio for picking up about $140,000 in money transfers in Pennsylvania and Ohio. It appears the scammers used the story where the seller is a soldier and needs to sell a vehicle. I hope all you victims out there with similar circumstances have or will contact the authorities. Its imperative to file reports. These people are caught and as you can see here, Potcovaru had a substantial amount of money on him. This was not Marian Potcovaru's first run in with US authorities involving scams.